India's first-ever lowered new Maruti Suzuki Swift: This is IT! 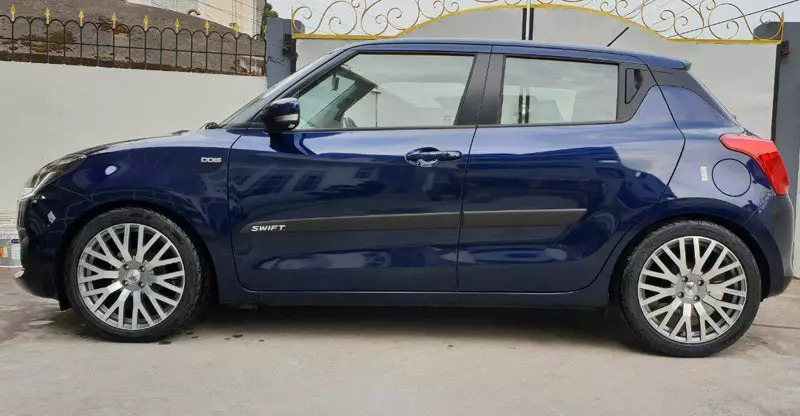 India’s first-ever lowered new Maruti Suzuki Swift: This is IT! The new-gen Maruti Swift is among the sportiest B1-segment hatchbacks you can buy today. Thanks to its funky looks, sufficiently powerful engines, and low kerb weight, it’s only a matter of time before modified Swifts become a regular sight on our roads. Well, some Swift owners have already started customizing their rides. Seen here is perhaps India’s first-ever lowered new-gen Maruti Suzuki Swift. The lowered stance of this new-gen Swift is courtesy of Cobra lowering springs. These springs are made in the Netherlands and have been imported into the country by Delhi-based AM Racing. The lowered Swift has a ground clearance of roughly 140 mm, which is 30 mm lower than the stock car. To put things in perspective, the sporty BMW 3-series has a ground clearance of 140 mm. 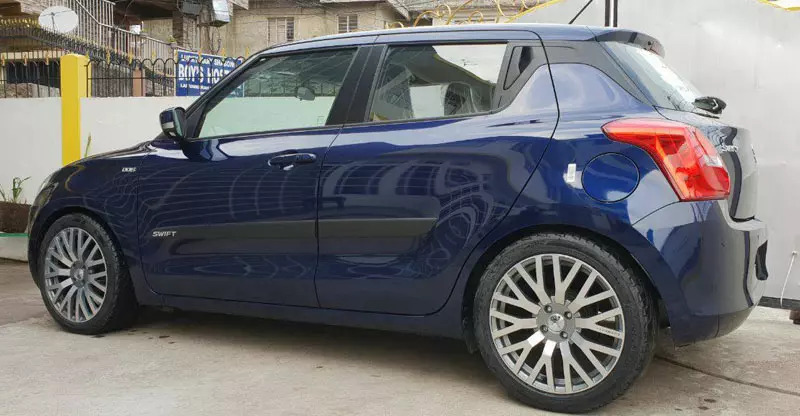 Also, the modified new Maruti Suzuki Swift you see here has a set of aftermarket 17-inch alloy wheels. These are shod with 215/45-spec tires. The cost of the imported lowering springs for the new-gen Swift is Rs 24,000. While we are sure that the lowering springs and wider tires would have made the new Swift a better cornering tool, one needs to keep in mind that low-profile tires have a negative effect on a car’s ride quality. Also, wider tires lead to a slight drop in acceleration and even in mileage. Hence, one needs to be very sure of his requirements before opting for any such mod. Other than the new springs and a cool set of alloys, there is presently no other modification on this car. However, going by the owner’s wish to lower his car, he might even invest in some performance mods in near future. This modified new Maruti Suzuki Swift has a diesel heart. Powering the diesel-sipping Swift is a Fiat-sourced, 1.3-litre, turbocharged unit that outputs 75 PS of maximum power along with a peak torque of 190 Nm. The engine comes mated to a 5-speed manual transmission as standard and a 5-speed AMT as optional. The Swift D offers an ARAI-certified mileage of 28.4 kmpl, which makes it the most frugal car in India.